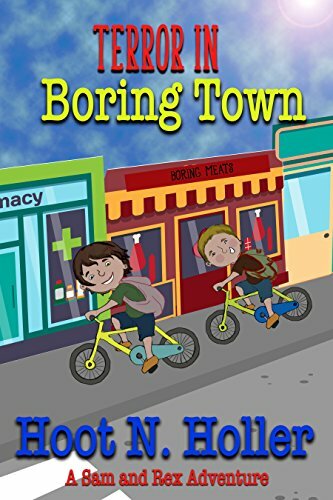 Twelve-year-old friends, Sam and Rex live in a boring town. But then mysterious strangers arrive, and the boysâ€™ humdrum summer vacation turns into the exciting adventure theyâ€™ve dreamed about. For fans of the Hardy Boys, readers will enjoy this modern-day action and adventure, mystery detective book for children ages 9 to 12. Hoot N. Holler is a daughters/mother writers/illustrator team. Hoot, the funny one spends her free time scribbling green and purple ink all over Hollerâ€™s words. N., the illustrator, is completely immersed in Tamriel. Holler is aptly named; especially during a UMD game.